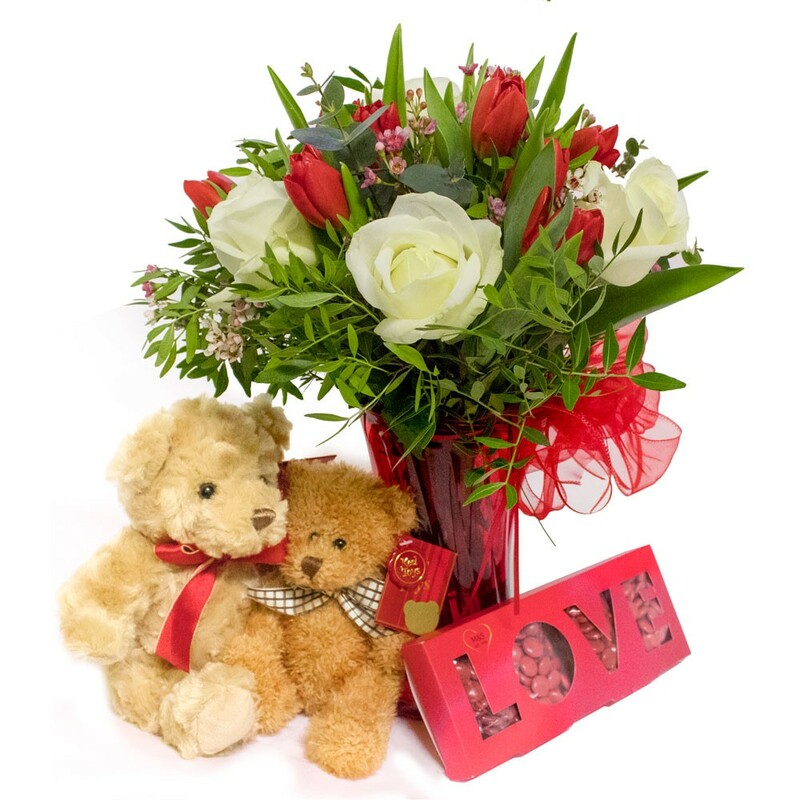 A Beautiful Vase arrangement of fresh cut flowers including a teddy and chocolate. Contents may vary due to availability. A selection of seasonal flowers will be used in this stunning arrangement, each bloom will be selected by our qualified and experienced florists and foliage will be added to enhance the stunning array of flowers, colours can be requested ensuring that your recipient gets there favourite. Arranged in a vase this gift will be the perfect valentine’s for a loved one. Why not add a helium balloon to your order to really stand out! Saying I love you has never been easier.